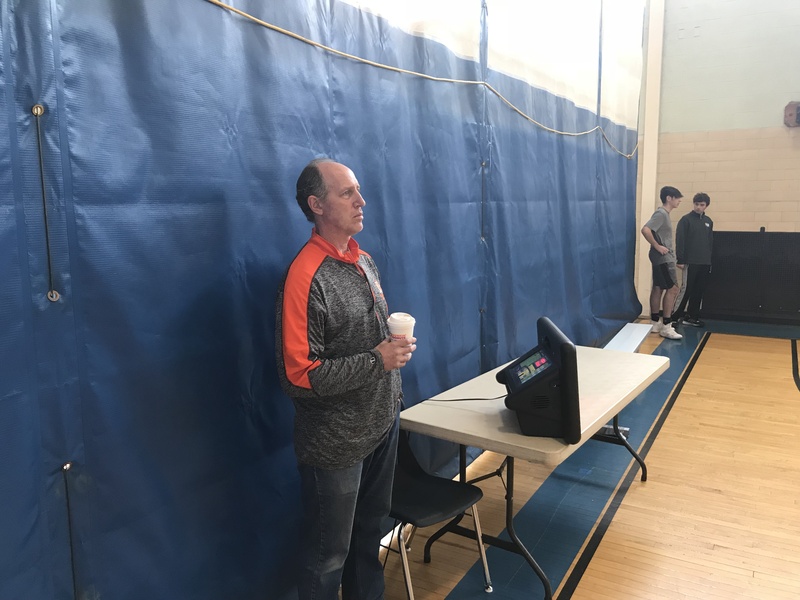 On Saturday morning, November 17, 60 boys, their parents and a bunch of volunteers gathered in Newton, MA for the 3rd annual 3 on 3 basketball tournament, sponsored by the Newton Athletic Association (NAA), a program of Newton Community Education. 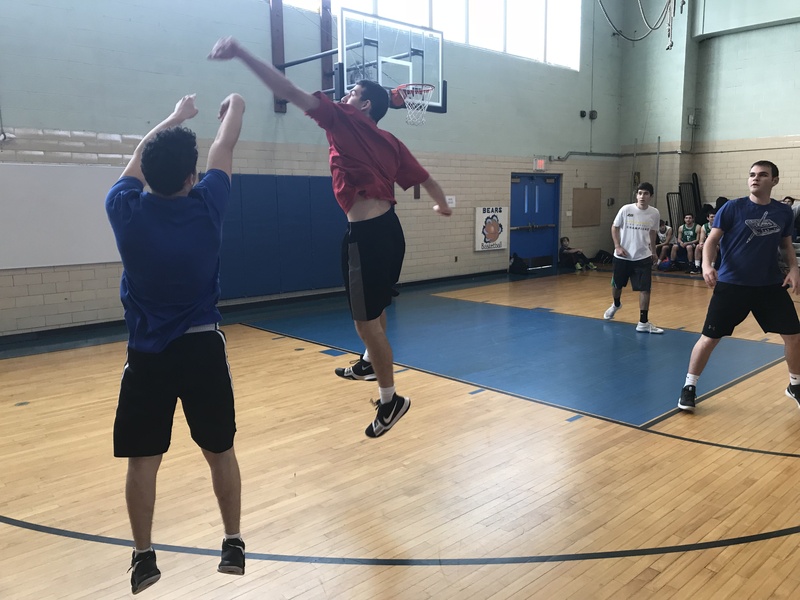 The event is a fun competition of teams of three players competing for bragging rights of which team is king of the local youth basketball program. It is also a special event because each year a portion of the entry fees to play are donated to a charity chosen by the NAA board of directors. FRAXA is honored to again be chosen as the beneficiary. FRAXA would like to thank the Newton youth sports community and the NAA board members for their ongoing support. 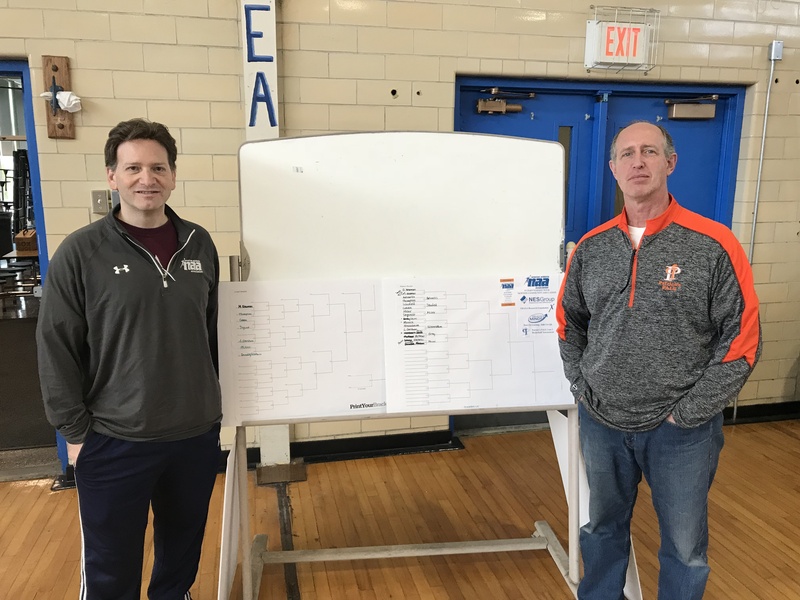 Board members who played key roles were Scott Katz (VP), Jon Shore (Treasurer), Josh Altschuler (Secretary), and Jeff Hecht (All-League Coordinator). Jeff was the driving force behind the event’s success. While it was Scott’s idea and “vision”, Jeff is the guy who gets the teams for this event. 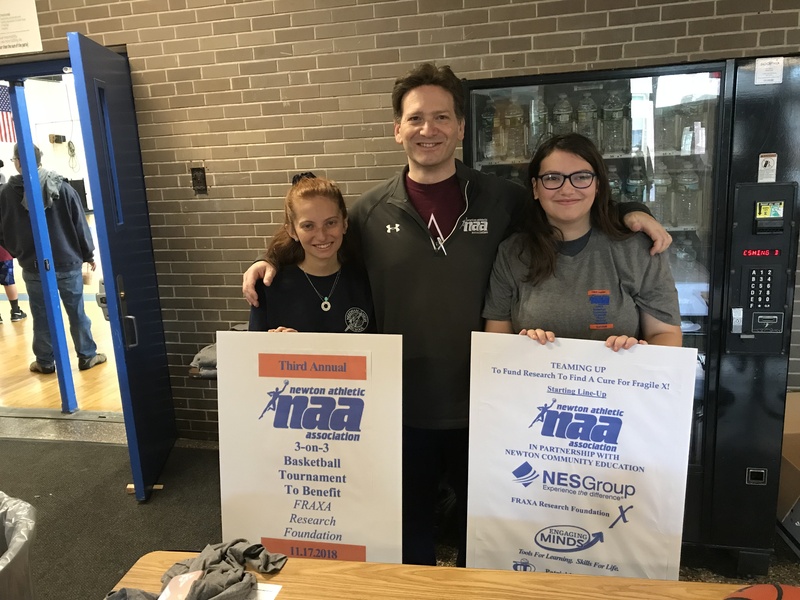 In addition, special thanks go to another board member, Craig Fishman, owner of NES group which generously donated $1,000 to FRAXA as part of the event. 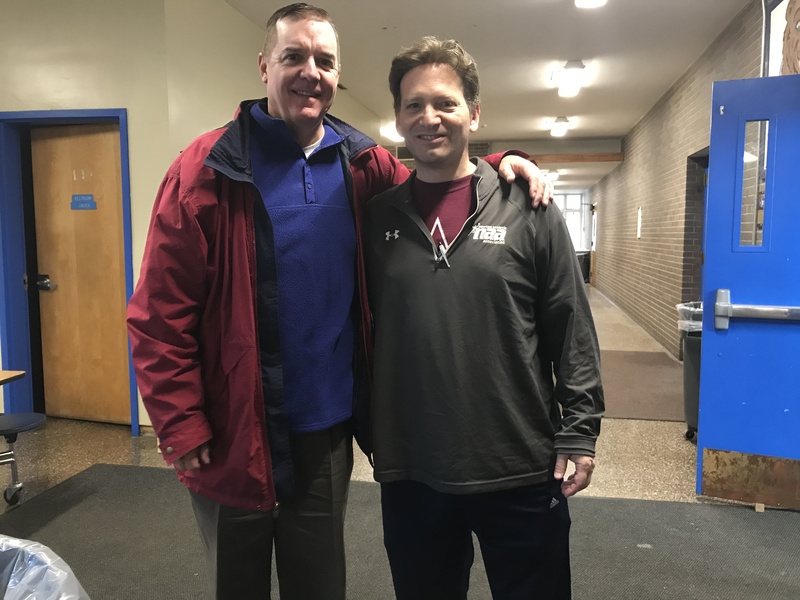 We are also grateful for Friend of FRAXA, Scott Katz, Vice President of the NAA, for starting the 3-on-3 tournament three years ago and suggesting that the event be established as a way to teach the boys about the importance of giving back. 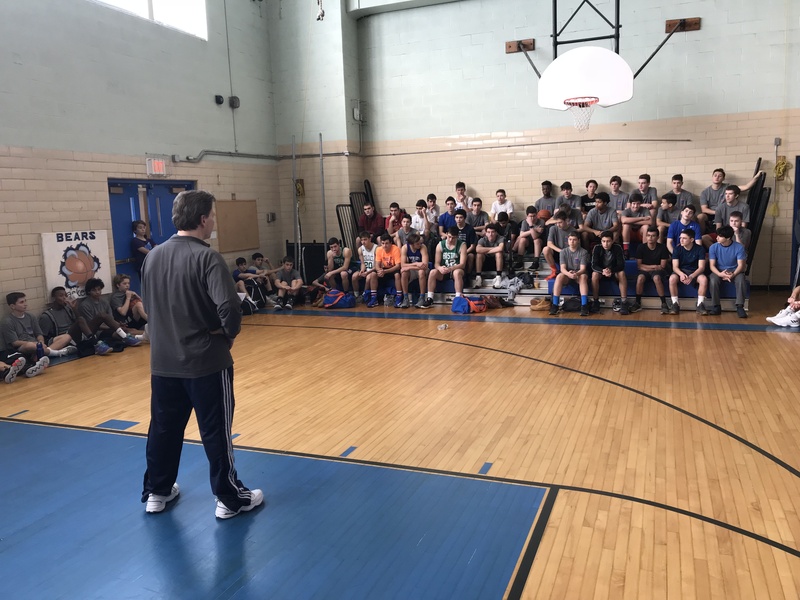 Scott started the day by speaking to the boys about how they can use something they love — basketball — to also make a difference in the lives of others. He talked about Fragile X syndrome and the mission of FRAXA to find effective treatments and ultimately a cure for Fragile X by supporting research in Boston and around the world. 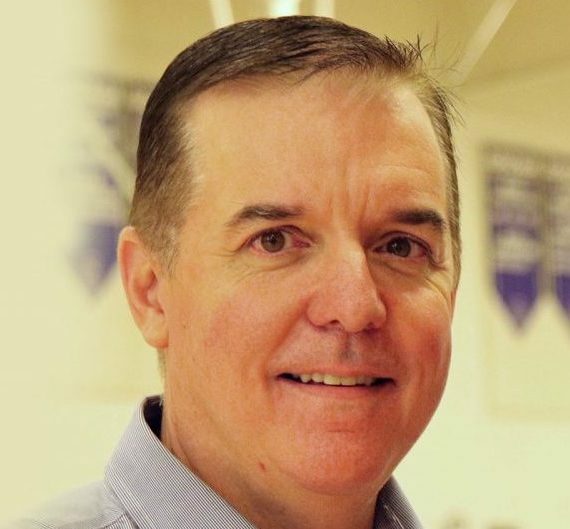 FRAXA’s Dave Bjork was there to thank everyone for their support and give a brief FRAXA update. Scott is also a longtime volunteer for one of FRAXA’s longest running fundraising program, Patrick’s PALS. 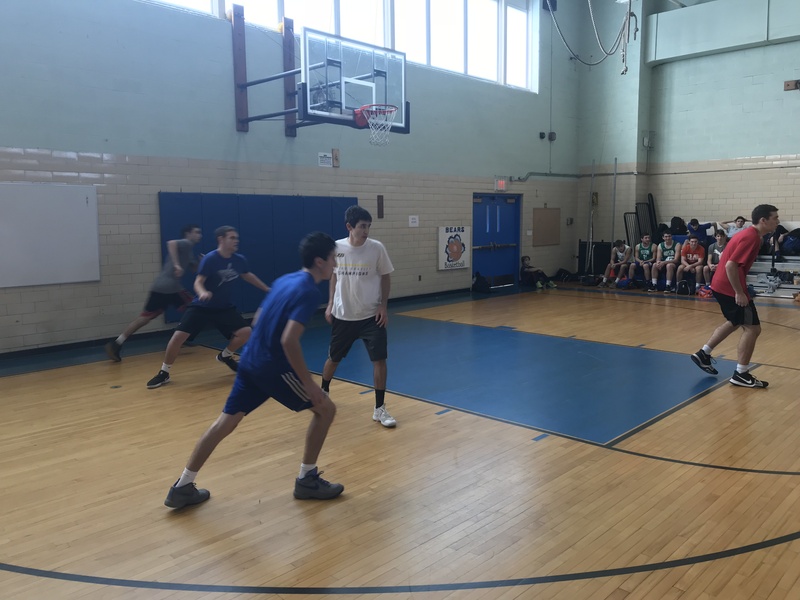 In fact, the NAA 3-on-3 tournament is a complementary feeder event to the larger Patrick’s PALS 3-on-3 basketball tournament. Many of the kids have and will go on to compete in Patrick’s PALS. FRAXA board member Jim Vershbow, one of the founders of Patrick’s PALS, was on hand as one of the dedicated volunteers. Jim, who grew up in the area, also got up in front of the group to talk about his son Patrick (namesake of his event) who has Fragile X. Jim expressed his gratitude for what it means to him personally to see to the support of all the boys and their parents. He also talked to the boys about the importance of thinking about things bigger than themselves and the power of giving back to the community. In this season of giving, we would like to thank all our generous donors, like the NAA and Patrick’s PALS who support FRAXA’s mission. We have kicked off our annual appeal. This is the one time of year that we ask for your gift to help us continue to support cutting edge Fragile X research. Through your donations FRAXA funds millions of dollars of research at labs around the world, attracting brilliant minds to the field of Fragile X research while all working to find effective treatments and ultimately a cure for Fragile X.